2019 Trapp Family Alumni Classic! Frome also received an honorable mention All-Conference Midfield selection from the Southwest Lacrosse Conference Division I.
Frome, a native of Buffalo, NY, recorded a record-setting 141 ground balls during the 2018 season. The Claremont Cougars Men’s Lacrosse Club has upgraded our equipment by adopting the latest concussion-reducing helmet available: the new Cascade S helmet. The campaign to purchase the helmets included voting by the donors, who overwhelmingly selected the red Cascade S helmet, shown above. Thank you in advance for supporting the team’s efforts to purchase the new helmets. 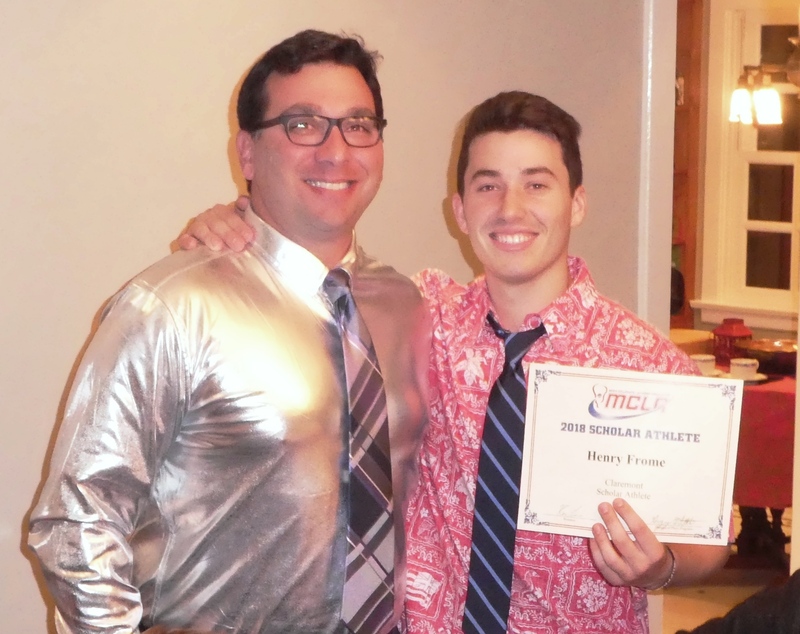 Congratulations to Henry Frome CMC'19, who received an honorable mention All-Conference Midfield selection from the Southwest Lacrosse Conference Division I. The Cougars are pleased to announce that our assistant coach, Scott Witkin, has agreed to become the head coach starting immediately. Claremont Lacrosse Head Coach Pete Ginnegar resigned at the conclusion of the 2018 season. The Cougars thank Coach Ginnegar for his dedication and leadership over the last 14 seasons. Pete Ginnegar will continue serving as the head coach of the Uganda National Lacrosse Team, and the Cougars send best wishes to Coach Ginnegar and the Cranes as they prepare for the 2018 World Games in Israel. Team President Patrick Thomas CMC’19 noted that the Cougars are well positioned to transition to the leadership of Coach Witkin since he is a familiar force on the field and since only one senior, Desmond Goetomo CMC’18, is graduating this year. Thank you to the Trapp Family and to all of the participating alumni for returning to campus for the 2018 Trapp Family Alumni Classic! Congratulations to Logan Miller CMC'19, who was named a 2017 Scholar Athlete by the Men's Collegiate Lacrosse Association in recognition of his on-field and off-field success. Previously, Logan had received an honorable mention from the Southwest Lacrosse Conference for his skill as a midfielder. Logan resides in Newport Beach, California and is spending the fall semester studying abroad in Prague. Congratulatons to the Cougars on the 20-4 victory over the Loyola Marymount Lions. 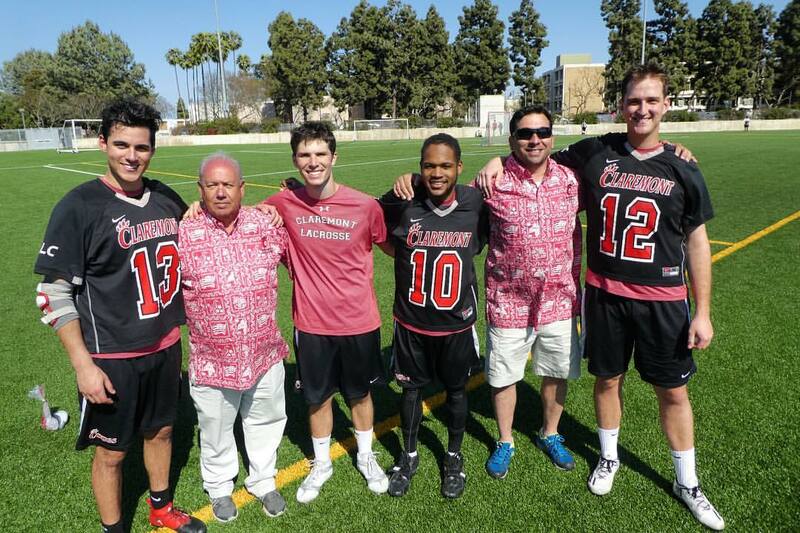 Game balls were awarded by Coaches Pete Ginnegar and Scott Witkin to graduating seniors Sebastian Luna (CMC'17), Kaegan Ingrasci (Pitzer'17), Jeffrey Allen (Pomona'17), and Kevin Lynch (CMC'17). Farewell and good luck! The Trapp Family Alumni Classic took place under crystal blue skies on Saturday. An enthusiastic cohort of Cougar alumni returned to campus for the game on Zinda Field. The game was "won" by the alumni who were joined by the upperclassman to defeat the underclassmen by a score of 13-7. The day concluded with a sumptuous barbecue courtesy of the Trapp Family and featured many stories of lacrosse games past, present, and future. "The Claremont Cougars are committed to developing an inclusive family built on respect, integrity, and pride in the game of lacrosse. We hold each other responsible for these values both on and off the field and strive to be leaders in the Five-College community." 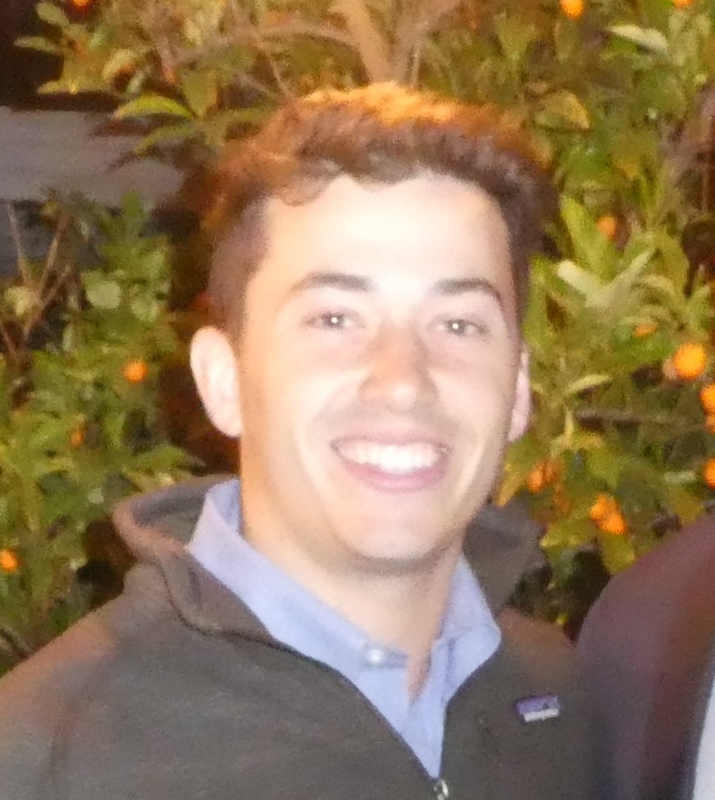 Congratualtions to Coach Pete Ginnegar, who will spend the summer in Israel as an assistant coach for the Israel Men's National Lacrosse Team. The annual Cougar update is in the mail. If you didn't receive one, please contact John Faranda. The team needs your financial support as we approach the end of the year. Thanks and happy holidays to the Cougar Lacrosse family! Congratulations to Coach Pete Ginnegar on his induction into the Queens College Athletics Hall of Fame! The Athletics Department will celebrate its fourth annual Hall of Fame Dinner/Golf Classic on Friday, October 16, 2015. We will be cheering on Pete Ginnegar as he is recognized for his 1975-80 Lacrosse/Soccer/Hockey achievements. 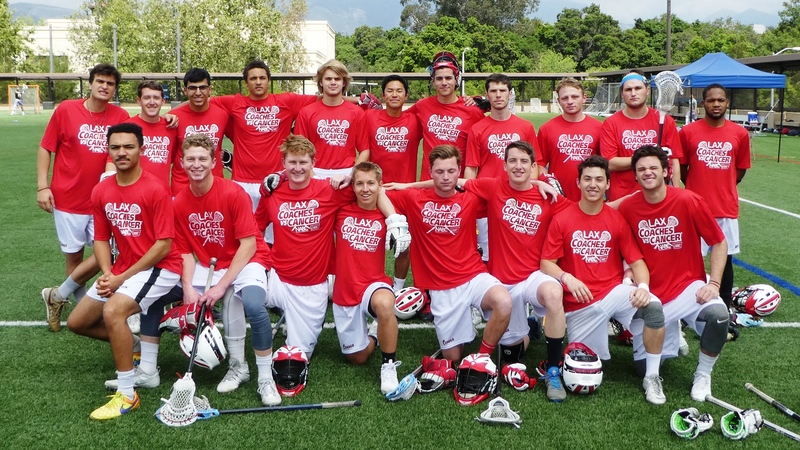 Your 2015 Claremont Cougars Men's Lacrosse Club! Lacrosse Reunion and Alumni Game! 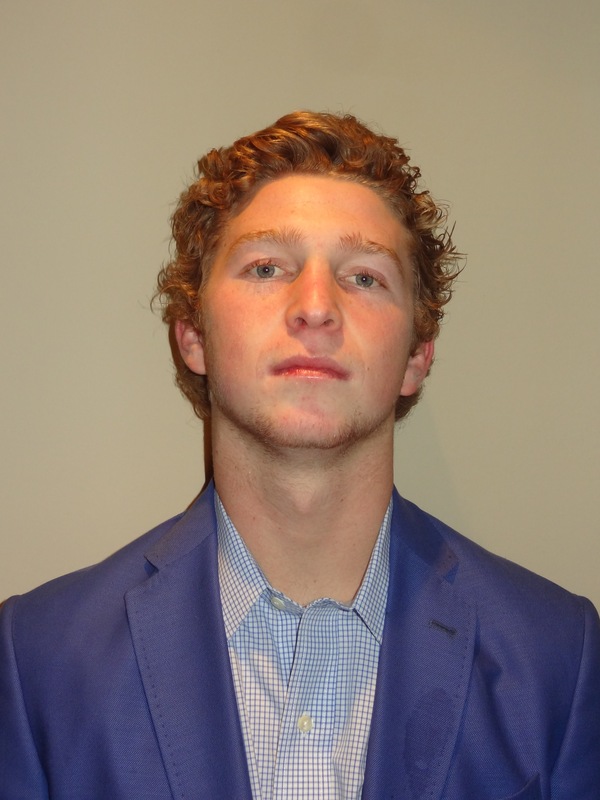 Congratulatons to Viken Douzdjian CMC'13 on being named to the Inside Lacrosse MCLA Academic All American team! Also, congratulations to Connor Schlegel for being named to the SLC All-Freshman Team this year. Claremont Men's Lacrosse Head Coach Pete Ginnegar has recently been selected to help coach Team Israel's National Lacrosse Team, joining Jon Barocas, Mark Greenberg, and Bill Beroza, for its debut in exhibition play in the 2012 European Lacrosse Championship in Amsterdam. The Claremont Men’s Lacrosse Team met with Brett Hoebel, CMC class of ’93. Brett is the founder of Hoebel Fitness and the trainer for NBC's The Biggest Loser. He is also a dedicated Cougar Lacrosse member and donor.